We want to make beauty accessible to every woman, and make each client comfortable and confident in her own skin. Clarity Skin Solutions firmly believes that everyone can achieve beautiful skin- sometimes it just takes a little help! The goal of Clarity is to educate you with the most up-to-date and innovative information, as well as provide you with premium professional products to guarantee success. Brows and lashes are two of our specialties! Clarity is a Bella Lash partner salon, and our lash techs have trained with many of the best companies in the industry. We also know that no two sets of brows are the same, and we are trained to determine the best brow shape to compliment your features. Every Clarity tan comes with a guarantee of perfect color! There's no orange in our tans, ever (seriously, we promise). Clarity also offers a variety of home maintenance products, or what we like to call "tan insurance", to lengthen your beautiful results. Clarity offers options for your hair removal services for everything from brows to bikini! We have only licensed estheticians perform these services, whom are highly skilled and have been trained in hair removal. There is no skin issue Clarity can't handle! Clarity Skin Solutions firmly believes that everyone can achieve beautiful skin- sometimes it just takes a little help! The goal of Clarity is to educate you with the most up-to-date and innovative information, as well as provide you with premium professional products to guarantee success. Our center understands that everyoneʼs skin is different, and is dedicated to clients who are truly looking to change their skin. We are committed to supplying each and every customer with the most scientifically advanced formulas to ensure unparalleled results from homecare products to resurfacing treatments. There is no skin issue Clarity canʼt handle! Need a few extractions, crave some extra hydration, or just want a fast touch up between your regular facials? Target your problem areas in an effective, skin-refreshing mini facial. The ultimate skin rejuvenation and body relaxation offered! A longer version of the Clarity Signature Skin Treatment: our professional products are customized to treat whatever your concern. Hand and foot massage with reflexology, pressure points, and scalp massage are always included in your mini trip to skin paradise. Oh no! Have a sudden breakout? Come in for a quick 15 minute treatment of professional cleansing, high frequency, serum, and moisturizer to clear up in no time. Great for anyone who needs a deep exfoliation and/or removal of "peach fuzz" on the face! We use a sterile blade to remove dead surface skin, fine hairs, and debris after a thorough cleansing of the skin. 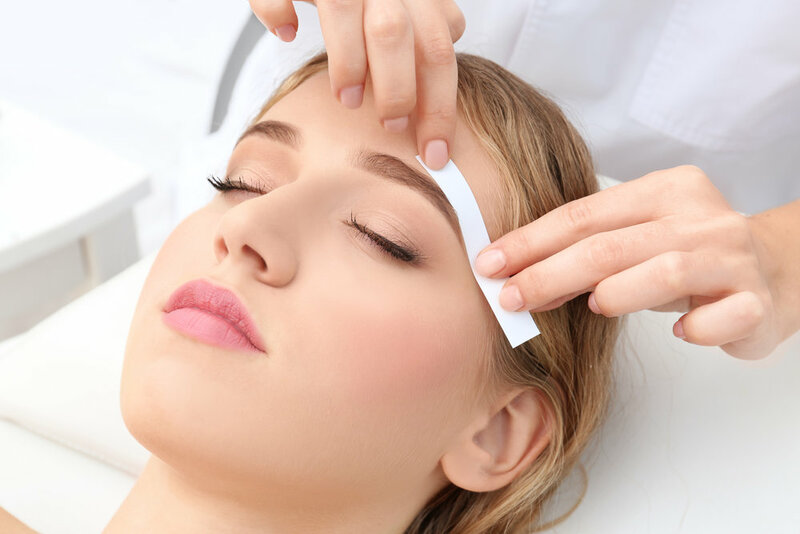 Dermaplaning is great on its own to improve skin texture and increase product penetration; it's also a great add-on service to any facial! Our diamond-tipped exfoliation modality deeply exfoliates your skin to treat dryness, dehydration, sun damage, aging, and acne scars. Pair it with any facial for even better results! Get expert advice for your skincare regimen! Experience the look and feel of professional skincare products along with a thorough skin analysis. Bring in any products youʼre using at home for a one-on-one assessment of your skin needs. Our secret weapon against skin issues! Ideal for a monthly maintenance facial: delay and correct signs of aging, reverse discoloration, and balance skin imperfections. This service includes deep Hungarian facial massage to promote an increase of collagen and muscle memory, or pressure point massage to relieve tension, along with complete treatment customization to address any need your skin may have. The perfect introduction for any skincare newbie: target and find a solution to challenges with teen skin. Includes a full treatment with a thorough cleanse, extractions, and moisturizer, along with a skincare lesson for home regimens and product recommendation. No age restrictions- great for men, too! Clarity utilizes a custom peel program for clients experiencing more stubborn skin issues such as acne, large areas of sun damage, mature aging, and intense dryness. All Clarity peel services include treatment of the neck, and chest, as well as a complete post treatment kit for 1-2 weeks of homecare use. Consultation with your skin specialist is mandatory prior to scheduling any peel in order to determine your goals and skin needs. Treat your back with this relaxing, yet effective skincare service! We'll target any of your skin concerns, as well as perform any extractions needed. A facelift without the surgery! Microcurrent uses low level electrical current to trigger the body’s natural skin enhancement chemicals at a cellular level, giving your skin the collagen and elastin boost it needs to look years younger. Ditch the botox and fillers- get a relaxing anti-aging treatment instead! IPL (Intense Pulsed Light) is a broad-based light, which is different from a laser in that it has multiple wavelengths instead of one single wavelength of light. This means it targets many different concerns including sun damage, premature aging, distended capillaries/redness, and hair growth. Please call to schedule any IPL treatmeants (706)429-0057; we require a $50 deposit fee for most IPL appointments. Intense Pulsed Light treatments for the face, neck, chest, and back (known as Photo-facials) treat a variety of concerns including sun damage, age (liver) spots, hyper-pigmentation, rosacea, spider veins, port wine stains, and much more. Our trained laser specialist will work with your specific needs to plan a treatment schedule for you (may take 1-8 treatments); book a Complimentary Skin Analysis/Product Evaluation appointment with Nicholette to pre-determine goals and results. Package pricing also available; please call to find out full pricing (706)429-0057. Intense Pulsed Light hair removal treatments can be performed anywhere on the face or body. Treatments are most effective on clients with dark hair and lighter skin tones, due to the he wavelengths that target pigment. Book a Complimentary Skin Analysis/Product Evaluation with Nicolette to pre-determine goals and results. Lashes and Brows are our Specialty! Clarity is a Bella Lash partner salon, and our lash techs have trained with many of the best companies in the industry. We strive to always learn more and be at the top of our profession in the eyelash industry. At Clarity, brows are one of our specialties! We know that no two sets of brows are the same, and are trained to determine the best brow shape to compliment your features. Our brow service isn't your typical 5 minute job- we love to take our time to shape each set of brows perfectly! To achieve that killer arch you've always coveted we use a variety of hair removal techniques depending on your preferences and needs: sugaring, waxing, and tweezing. Your appointment is finished with professional brow styling products, where you will also be instructed how to use these enhancement products at home. Classic Eyelash Extensions are a semi-permanent application of single lashes (1 lash extension to 1 natural eyelash) to give your natural lash line a fuller, longer look. Volume Extensions create a much fuller, more glamorous lash line than classic lash extensions. 2+ lash extensions are applied to each natural eyelash. Look beautiful effortlessly! Eyelash tinting is great for clients with light colored lashes that prefer a subtle difference. Define your entire face with perfectly colored brows. Includes everything outside of underwear line. Everything outside of underwear line + 1-2" within underwear line. Just like the name says- almost everything! Everything gone, from front to back!